Raising awareness. 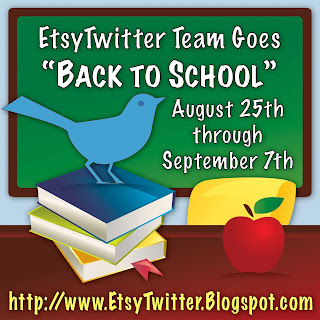 What inspiration from the Etsy Twitter team! Please read the blog article to find out how you can help! 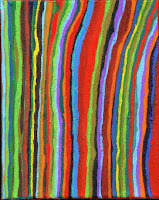 Painting from Betty Refour click to visit her Etsy store. New batch of cutting boards in the gallery! Come and check them out! They make great wedding gifts! We have chosen our main platform as a blog to keep you updated on our progress and share with you our experiences as we start our own business, our journey to live our art! Our PAGE on facebook become a fan! As we live our art, we strive to support local and/or handmade. If that isn't possible, then will will buy products made in the USA. Now, this is something we just recently implemented in our family, but we feel stongly about it. Just as we hope others will consider our functional art to buy for their own homes or as gifts for others, we try to do the same. For example, we no longer do our weekly shopping at Wal-Mart, instead we choose to go to a local grocery chain. If possible, we no longer buy clothing at Babies 'R Us, Old Navy or Target, but instead, we buy handmade clothing from fellow Etsians online. We no longer shop for toys at Toys 'R Us, but from The Barefoot Chameleon, a local, small specialty shop across the street from the studio/gallery. We've met a few local Etsians who we now make routine purchases from. Margaret at Metime has some great handmade laundry and bath products that we use in our home daily. These are just a few of the specific examples of our new purchasing habbits. Michael and Talina Ripper met online and when they met in person, they knew they had found something special, a once in a lifetime love. Michael obtained BFAs in both Wood Design and Ceramics from ECU. Talina has always been a creative/artistic spirit, but has her BSN from ETSU and still works as an RN. Talina has three sons, Seth (17), Aaron (8), and Jacob (7). Michael and Talina have a son together, Quinn, who is 17 months. They are getting settled in their downtown loft just around the corner from Michael's studio and the gallery. Their dream of living their art is coming true! New Yellow and Green Treasuries! Today I Made a Treasury and Am IN a Treasury!